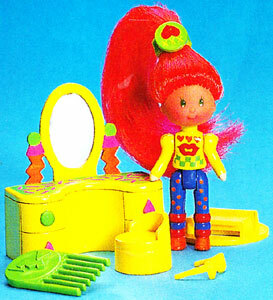 "Ready for fun wherever you go!" 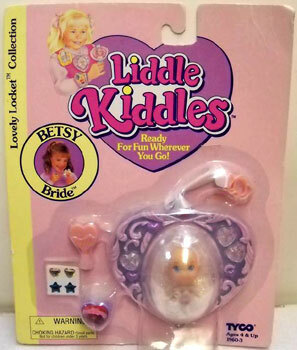 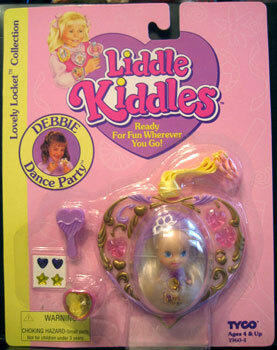 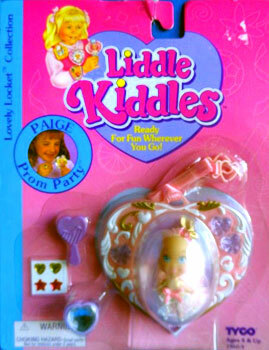 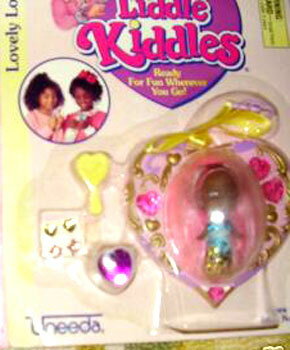 Liddle Kiddles were a series of small dolls which came in plastic lockets or other shaped cases. 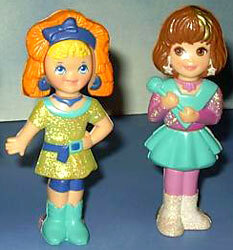 They came dressed and also included a few small accessories. 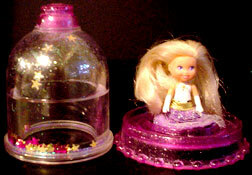 They were originally produced in the 1960's by Mattel until the 1970's. 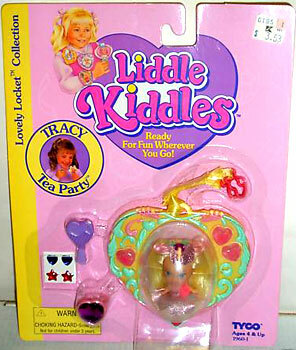 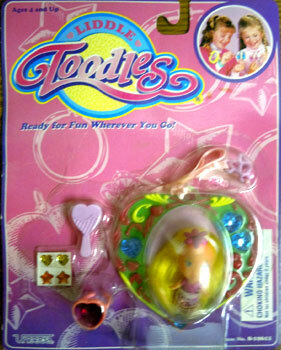 They were then re-released in 1994 by Tyco until Uneeda took over in 1996 who eventually changed their name to Liddle Toodles. 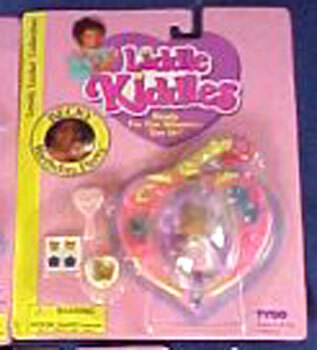 Most sets seems to have been produced as both black and white dolls. 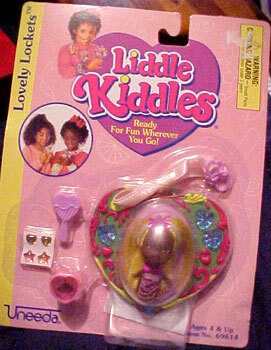 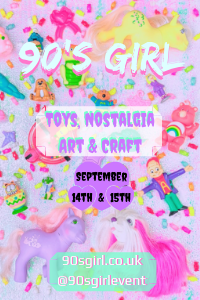 I've included both Tyco and Uneeda dolls. 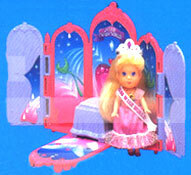 Tyco dolls all had their individual names included on the packaging, where as Uneeda did not. 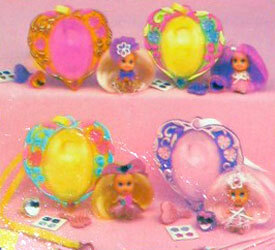 The dolls and accessories also varied in colours slightly. 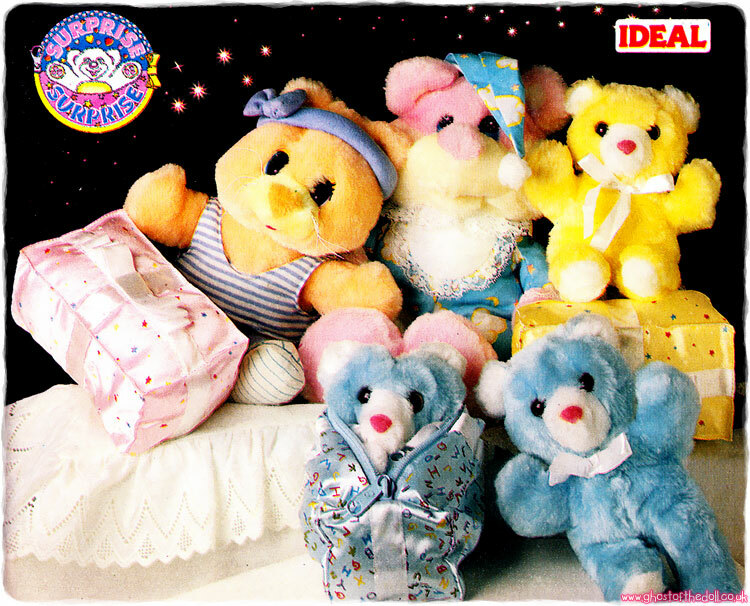 Images on this page thanks to Kokonos or found on eBay , with thanks to various sellers! 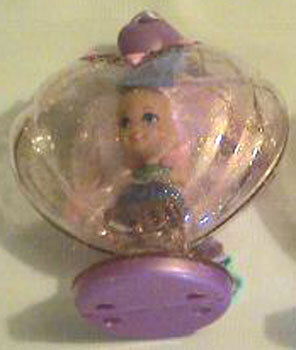 There were five Lovely Locket dolls produced by Tyco (in both black and white). 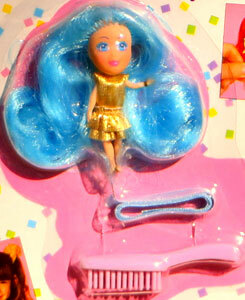 Each one came with a case, strap, brush, ring and stickers. 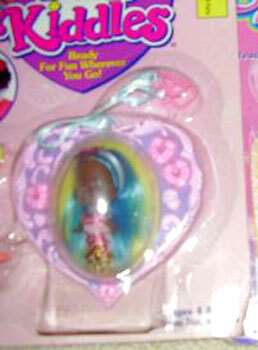 Uneeda also produced the Lovely Locket dolls. 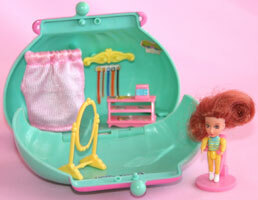 The cases varied in colour, as did the dolls and their clothing. 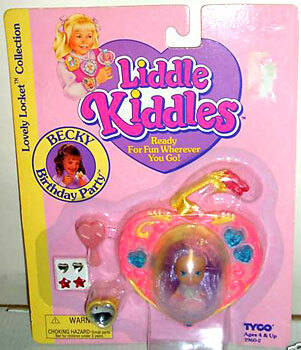 I have also found one Lovely Locket produced under the name Liddle Toodles. 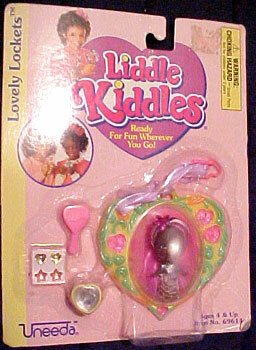 Uneda produced four Lovely Locket dolls under the Liddle Toodles name. 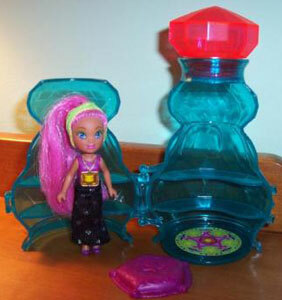 The doll, bottles (and possibly colour combinations) were the same as before.